With the strange goth event coming to a close last week in Nintendo’s Animal Crossing: Pocket Camp (Free), it appeared that the decks were all clear for a Valentine’s Day event. But no, friends. Doing what you would expect is not how this game rolls. Apart from a box of chocolates that was sent to everyone’s mailbox, it seems Valentine’s Day will come and go without much of a peep. Instead, players have been treated to the big update that Nintendo has been teasing for the last little while. There are a couple of semi-big things, and a bunch of little things. Let’s take a look, shall we not? First up, you can now dress up the animals who visit your campsite. You’ll have to reach a certain friendship level with them first, of course. Hamlet doesn’t doff his shirt for just any random fool. You’ll also need to own the clothing items, and not every item can be worn by the animals. With those provisions stated, the rest is up to you. You want to make Goldie look like some strange hipster? Think Apollo needs to get in touch with his classier side? You can make it happen. Put glasses on dogs. I believe in you. There’s something new to do at OK Motors, too. If you have some extra Friendship Powder items, and who doesn’t, you can now use them to play a mini-game called Brake Tapper. It’s just a simple three-panel slot machine like the sort found in between levels in Super Mario Bros. 2, but it’s slow enough that you should be able to line up the pictures reliably if you’re patient. Your prize for matching the pictures is varying amounts of caps. Those caps can be traded at OK Motors for a variety of crafting supplies, special items, and so on. The other changes aren’t quite as flashy, but they are useful to varying degrees. You can now lay down multiple carpets and rugs at your campsite, which should increase your decorating options nicely. Requesting support from your friends in order to enter the quarry is easier than ever now. You can mass invite in batches of 10 friends at a time, and it even pre-selects them so all you have to do is keep hammering the invite button until your list is exhausted. Nintendo has also added a new way to make friends with people in your immediate vicinity. Simply select “Send a Tune" from the “Add Friend" menu and your device will play a ditty that other phones can pick up and translate into a friend request. Weird, but hey, it gets around compatibility issues between platforms. Here’s my take on all of this. 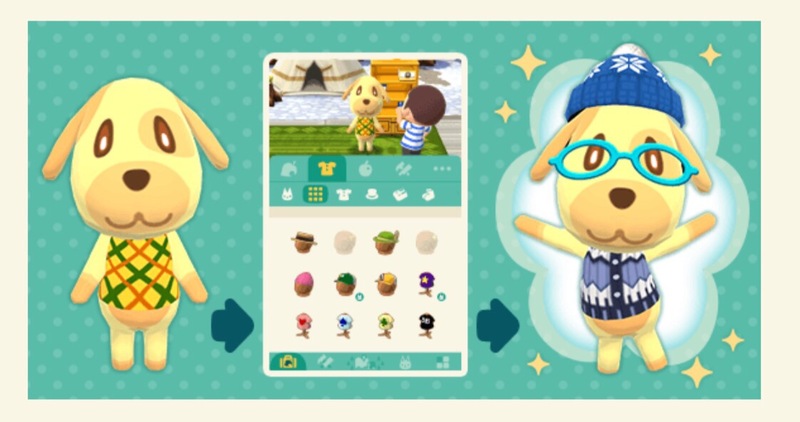 The animal dress-up is cute and I think some players will like being able to customize their campers. Brake Tapper isn’t very fun but it’s something else to do at the otherwise quiet OK Motors and it puts all those extra Friendship Powder items to use. Cotton for the cotton gods, yes? Being able to put down extra rugs is good, and that batch quarry request feature is awesome. The musical friend thing is kind of odd, but it is a pretty decent way to add friends locally without having to fuss about with codes. It’s not a bad update, all things considered. I’m not sure it will do anything to change anyone’s mind about the game, but it’s nice to see they’re taking care of the existing players. Next PostNext Supercell Made $2 Billion in 2017 – and That’s Less Than 2016!